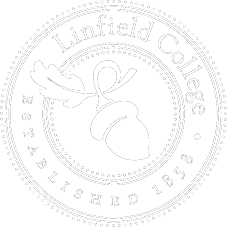 For the third year in a row, Linfield College holds the No. 1 spot among Pacific Northwest liberal arts colleges for “Best Ethnic Diversity,” according to the 2019 U.S. News and World Report rankings released today. The magazine factored in the proportion of students from different ethnic groups, leaving out international students, and the overall mix of groups in each institution’s 2017-2018 student body. Linfield has for the past four years offered a Spanish-language orientation for new students and their families. The college maintains multicultural centers on both its McMinnville and Portland campuses and has held a Latinx Senior Recognition ceremony for graduating students the last two years. Linfield was also the highest-ranked Oregon liberal arts college when it comes to “Best Value,” according to the magazine. U.S. News and World Report determined the “Best Value” rankings by taking into account both academic quality and cost. Only the colleges ranked in the top half of their categories, such as Linfield’s category of national liberal arts colleges, were considered. Then, institutions’ rankings were based on ratio of quality to price, the percentage of all undergraduates receiving need-based scholarships or grants, and the percentage of an institution’s total cost covered by the average need-based scholarship or grant award. The magazine also ranked Linfield at #7 in the nation among liberal arts colleges for “Best Colleges for Veterans.” U.S. News and World Report based its rankings on whether the institution is certified for the G.I. Bill and if it participates in the Yellow Ribbon Program. The publication also looked at whether the institution enrolled a minimum of 20 veterans and active service members for a second consecutive year. Only the colleges ranked in the top half of their categories, such as Linfield’s category of national liberal arts colleges, were considered. The lists were released as part of the magazine’s “Best Colleges” ranking, where Linfield was once again placed in the top tier of national liberal arts colleges. Linfield jumped nine spots nationally, from No. 117 to 108. Founded in 1858, Linfield is a four-year liberal arts college with campuses in McMinnville and Portland. 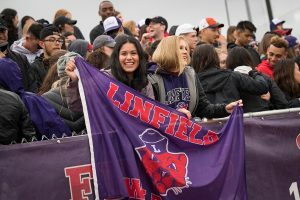 Twenty-five percent of Linfield students are the first in their families to attend college, and more than one-third are American students of color. The U.S. State Department honored Linfield for being Oregon’s top producer of Fulbright Scholars in 2017-18. This entry was posted in Latest News, Press Releases and tagged Best Ethnic Diversity, Best Value, Gerardo Ochoa, Miles Davis, Miles K. Davis, US News & World Report. Bookmark the permalink.